Jack Butala: Old School Positive Thinking with Steve Shallenberger. Every Single month we give away a property for free. It’s super simple to qualify. Two simple steps. Leave us your feedback for this podcast on iTunes and number two, get the free ebook at landacademy.com, you don’t even have to read it. Thanks for listening. 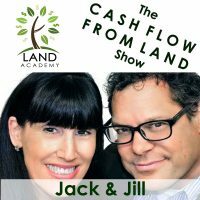 Jack Butala and Jill DeWit here, welcome to the Cash Flow from Land Show. Our guest today, Steven Shallenberger. Steve how are you? I’m doing great. Nice to be on your show. Excellent, thank you. Steve has more than 40 years of experience as a successful business owner, trusted senior executive, top-rated speaker, and a number one bestselling author. He’s best known for his fun, enthusiastic, and engaging personality. I’m afraid Jill, what we’re known for. Steve has consolidated 40 years of success in leadership research into the national bestselling book, Becoming Your Best: The 12 Principles of Highly Successful Leaders. Leaders from around the world have raved about the impact and transformation their teams and organization have experienced by using the tools and processes found in his book. As a young entrepreneur, Steve built numerous organizations from the ground up. He has successfully lead companies in 3 different industries and has keen understanding of how to thrive in business. During he’s formative years, he continued his education at the Harvard Business School. He also worked many years with Stephen Covey, as a senior leader and trusted member of his board of directors. Steve and his team helped Covey start the First Things First Training and time management seminars. Steve served as the president at the Bring Em Young University Alumni Association. He was a charter member and chair of the Utah chapter of Young Presidents’ Organization. I remember that, YPO. He’s actively involved in a World Presidents’ Organization, WPO. Welcome, thank you so much Steve. Hey thank you. Glad you’re here. Hey it’s great to be here, looking forward to our visit. Boy, this is a pretty impressive bio. Most of the bios of the people that we have in the show, they don’t have anything going in their life like this at all, no history at all. How long is your signature line Steven? I got to ask. It’s long. I told Steve as we had the chance to visit just briefly before, “You know Shallenberger is a great name. It’s a Swiss-German name, but I have been seriously considering changing it to Garcia. A little more simple, easier to say, spell. That’s exactly what I said. If he changes his name, I’m changing mine as Smith. Steve, that’s quite an impressive background. What stuck out to me is the companies that you’ve started. Give us a little summary on those or one of them, your favorite let’s say. 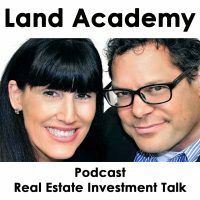 Just tell you since you folks are in a great business, the Land Academy type of business of building a business around land and real estate. When I was a young man that’s actually how I started out. I was raised in Northern California, a place called Vallejo which was pretty much a blue collar town, naval shipyard. There were 8 of us that lived in a 900 square-foot home. We’re pretty poor. My first job was in Italian restaurant. Then when I was 16, I became involved with a man by the name of David [inaudible 00:03:29] and he’s a real estate broker and he had 5 very successful real estate offices in Northern California. He was really my first mentor through the experiences I had with him. I went through an enormous transformation and change not unlike many of your listeners go through when you have a new way to see things. You see new hope and new opportunities. That’s what happened with me and Mr. [inaudible 00:03:59]. He started to encourage me to read books. Eventually when I was 26, started my first mark. I went to school, graduated in accounting. I had some sales jobs selling books door to door. When I was 26, organized my first marketing company and bought a publishing company when I was 27. We sold those products all over the United States. That’s how I got started. Later I had the good fortune, organize an energy services company that primarily operates in California. It’s been operating for close to 35 years now in the energy efficiency space. Then one of my college professors was Dr. Stephen R. Covey and he was such an icon. He served on my board for 17 years. Then when he started his company, I was fortunate to serve on his board for 5 years. Then he released the book called The 7 Habits of Highly Effective People. This got me on to the pathway of really thinking about what causes outstanding individuals to be great at what they do. What sets them apart from everybody else? That was my passion. Everybody has a passion and I love organizing companies, or running companies but especially is this thought of what causes somebody to be set apart from someone else in being successful? I begin a research that set a number of decades. What I found as I interviewed over 150 CEOs and studied the lives of hundreds of individuals as certain things started popping out that they did. What I was looking for were the common factors of success. That’s ultimately what I put in my book. That gives you just a little nutshell background of some of the jobs and companies that I’ve started, but I love the industry that you’re in. It’s a wonderful industry. Thank you so much. Our base of listeners, I can read their minds right now. They want to know what does set them apart or what sets people apart from being successful? That’s a great question. Some of the things that I’ve seen and one of our way to describe what we’ve seen is that great leaders produce great results. Sometimes you’ll see an organization that is faltering, but if you can take a great leader and put them in that organization, I guarantee you it’s going to turn around. You’re going to see an organization becomes more successful. It’s because of the defining differences in the great leader. Your question is right on is what makes great leaders? They do certain things. This is what allows them to make the difference. Some of those things we have identified would be things that you’re listeners and especially the ones that have been able to apply what you teach them becomes successful. This is one of them. There’s others that I’d be delighted to talk about because as your listeners and you and I apply these things, they lift the standard of performance. When the standard of performance is lifted, it actually gives us if we do certain things a greater confidence, a greater peace, a greater creativity in the things we do. For example, another one of those would be to lead with a vision. I would imagine that the people that you work with have dreams and that they want to do well. They want to be self-sufficient. They may want to get out of maybe being where they’ve been at and they think they can do a lot better. It’s this vision that helps define the direction. That is where all transformation really begins. It’s with the vision. As they start dreaming that I can do better, then they combine that with some of the other principles that we teach. One of the other principles is to apply the power of knowledge. This is where you come in because from your experience, if you can get somebody that has a vision that wants to do better that’s willing to work hard, that’s going to have honesty and integrity who wants to help people live better lives, then they can gain the knowledge once they choose the field that they want to be in and become the best at what they do in that field. In becoming your best, the book, we would teach that person what you would get out of it. In other words is how to develop that vision. How to make it so it’s passionate. You would get how to develop a plan so that you can minimize your risk but maximize your return. Again, that’s where you come in because part of that will be gaining the knowledge of how to do it. I’ve just talked about 2 or 3 of the items. I had one friend, we were working with a large regional bank, very successful regional bank. I was visiting with the executive VP and he said, “You know people are looking for that single bullet of leadership.” He said, “You know, there’s not really a single bullet of, silver bullet of leadership.” He said, “It’s a number of things that come together that helped me create an excellence. That is what helps me get to a better place in life.” That’s what we do here is we talk about the things that you could apply that help you do that. Most of the people that work for us, I think they might have the dream to work for a better place than Land Academy. Now that I planted that in their head, now everybody’s scrambling to go to other stuff. That’s a basic foundation. This is what I tell all of our new members, some version of this. You always have to remember that you’re dealing with people. Yeah, there’s real estate involved. Yes, there’s transaction, money, and some things, but it’s not going to end well if you don’t keep in mind that there’s a real seller on the other end. There’s a real buyer on the other end, and there’s people that are working for you. I think that’s great advice and I completely agree with what you’re saying. Great job. Yeah, go ahead Jill. That’s a terrific point that you bring up which is how do we develop this motivation? How do we develop the courage to move forward? I think this can be illustrated by a research study that I saw recently. It says the average person has been told no 140,000 times by the time they’re 18 years old. In other words, “No, we can’t do it. No, that’s not the way we do it. No our family, we’re not made that way.” Just imagine that, what happens is with time people start believing that. Just like you bring up as you just have to be determined to break through that barrier and say, “Hold it. I need to change the story that’s in my mind that I’m thinking about because believe me, I have yet to meet a person that couldn’t do better that wasn’t able to achieve more greatly than they thought possible.” As I started thinking about the possibilities as I mentioned earlier, that’s when you start having the transition. The more you say it, you say it 10 times or 20, and the endorphins get released and pretty soon you feel different. We do this in large seminars all over and have people stand up and say it. At the end of 3 times you look around the entire room, and the entire room is laughing. The energy is contagious. Something changed. This happens with us as individuals. Another thing, just a brief set of things that you can do to break through is have positive self-affirmations. People say, “Okay. What are those look like?” Such as, “Today, I will have a great day.” These are words that you actually read and reaffirm to yourself. Those are found in your vision. You want to have a vision that points to the direction that speaks in a present tense, and that’s what we start becoming just like Ralph Waldo Emerson said. A couple of other things is just smile, make it a point to smile wherever you go. Steve illustrated this and talking about as you work with people. They feel your spirit. You can lift people and this strengthens the relationship. The last one is just totally reject negative thinking. I mean it’s natural. It’s going to happen, but they don’t help us for one single minute. For every minute that somebody is angry, or cross, or distracted, it’s 60 seconds you can’t be productive, and positive, and happy. I love it. I believe all of that. It’s funny. You don’t think about it sometimes because it just becomes second nature. I have kind of a mantra going to my head all the time. You’re right. It really makes a difference. It’s good to take a step back and talk to you, and be reminded this is something that we should be sharing because it really does spread. It’s really good. I think inspiration and motivation … That’s one of the reasons that Jill and I decided to do this together because she provides the inspiration and motivation part, and I provide more of the informational instruction part. Without those 2 things, it’s pretty unlikely that you can pretty seriously succeed. That’s a dynamic team right there. Thank you. Hey, did you guys? I have a quick question too though. Did you guys ever talked about nature versus nurture? I’m sure it came up a lot. We go back and forth with this all the time. I’m a fan that you can change things like you said. You start down that path but how much of us are pre-disposed to have this come more naturally to us than others? There’s no question that our backgrounds can have a big impact on our lives. Some people have more obstacles and more challenges, but I’ll tell you. I have had the chance to just meet with too many people that have had overwhelming adversities and nature. Raised in the ghetto, I interviewed not long ago a fellow by name of Ron William. Ron was a 7-time Mr. Universe. You should have seen the pictures of Ron. I was going to say what’s he look like. I was intimidated just to see those pictures. Ron was raised in the hood, in the very toughest part of town in Indianapolis. He said virtually all of his friends are either in jail today or dead. He said, “I was able to lift myself out of that circumstance.” Jill your question is so spot on because that gets down to the very heart of becoming your best. It is something that is within each one of us and we can feel it. It’s not something that’s reserved just for the wealthy, just for those that have these lucky backgrounds. As we master each of these principles that people throughout hundreds of years have done, they can raise themselves to reach their dreams. I love that question. I’ll just tell you, I have rarely seen an exception to it. It gets down to just going to work on it. For example prioritizing your time. You talked about Steve, the idea of having a motivational spirit, a mindset, and also having the knowledge. What a tremendous complement to one another. They’re both important. We call that mindset, having the right mindset but also having the skill set. As people work on things, they get better, and better. Once they understand that it’s just an issue of working on it, one day they will wake up and be a different person. They’ll be a better. One of the principles that I observe of highly successful leaders, is they treat people right. They live the golden rule. The very fact that they start shifting how they treat people, raises their level of success. It’s just a magical thing because people want to be around them. Then they start saying, “Hold it. I want to serve people because it helps them.” Now they start having the right motivation and they start building their income. They start doing better at what they’re doing. Once again, I love your industry and what you’re doing because it’s one that really can make a difference in people’s lives. I chose this industry a lot of years ago versus starting a large company or a company at all. It’s so easy to do, to get educated and do one deal, and then 2, and then 3 while you still have a regular job and then moving forward that way. With the right mindset and the right motivation, it’s very attainable for people who are motivated to get involved. I think it’s amazing that there are certain people you can just throw anything at them. It makes them stronger. You just described somebody like that. It’s a treat to be around those people. We have a handful of members who just really, really exceeded way further than I ever thought would be possible in a pretty short amount of time. I think that they just must have, they either [inaudible 00:22:59] or came to us with a ton of motivation, or they’re just with the right mindset, or all of it. It just makes me proud. That is very exciting. That is something that people start believing in themselves and may have been knocked in the ditch a few times. The last of the 12 principles is never give up because all of us have adversity. All of us get knocked down, but the price really goes to the one who keeps getting back up. It sounds trite but I have to say it. Rocky Balboa said it best. It’s not how hard you hit, it’s how well you take the hits and keep coming back. How true. We ask all the time, “Okay, everybody. What’s the opposite of success?” What do you think Steve and Jill? Yell it out. Not trying hard enough, I don’t know. You’re probably right. Everybody says failure. That’s not right because really failure is what helps us learn in how to improve. It’s exactly what you said. The opposite of success is not getting back up. That’s when the surprise, and the chemistry, and the magic takes place is when you keep getting back up. You think you might not be able to but you can. That is the winner’s circle right there. Great to speak with you today Steve. Thank you so much. Where can we find you on the internet? You can go to becomingyourbest.com. I’ll just say one thing on there Steve and Jill that might be helpful to your listeners. We have a free service. It’s extended to the entire world and you can share it with your friends and your family. As you go to our website, there’s a place where you can put in your first name and your email. What you will receive is a weekly email on one of the principles in becoming your best. Then the next week, another principle. In the third week, another principle. What happens is it goes through the whole rotation. In the 13th week you step back and say, “Well how am I doing?” Then they start again. What happens each year, you can go through each one 4 times; so 4 times 13 is 52. You can pretty much do it forever. People have found this to be an enormous resource. Then they also would receive a daily 1 or 2 line motivational thought that helps us keep up and stay on track of the things we want to do. Hopefully that’s helpful. I’m signing up right now Steven. What a delight. It’s been so fun visiting with you and cheers to you. You’re doing so much good. Thanks, we’re having a lot of fun doing it Steve. Thank you. What a treat to get to just talk to him for a few minutes and just kind of be reminded of being on the right track. It’s good to look at that stuff. That was really kind of off for me. I feel like, I mean it’s like … You know what I mean? Because I’m like the more … I like the mantra and that kind of thinking and stuff. I think this world is full of inspirational people who are full of inspiration and they’re not really full of any direction. I like to think what we do here, not only do we inspire you but we show you exactly how to do it; make you laugh a little bit and then actually give you the tools to do it. I have a lot of really negative thoughts, and I think they help me. I do. If I only have positive thoughts, then how do I know they’re positive? There’s nothing to bang your head against the wall about it. You know Steven, I think that’s what works for you and we all look at things differently and they’re all okay. No, I mean that. How long we were working together and everything? It’s been years. I know you’re super positive, but I’m pretty positive in general. I don’t have stuff hanging all over my office with motivational sayings of that either. I mean you don’t. All right, that’s enough of that. I’d like to think and people send me notes like this every day, “Hey you know what’s cool about you guys, is that you’re not full of …” We’re not. We actually did it. It’s like Steven has a fur ball. I was going to use an expletive but I don’t want to post produce a bleep sound. I like the fur ball. It’s really good. Hey, I appreciate. I love having people from all different areas. I had no idea he worked with Stephen Covey and I think that was pretty darn cool. I think most of us have heard of those books. It’s cool. I worked at jobs where years ago they were handing out those books to everybody. They buy them in bulk. Gosh darn it, people like you. What was that Saturday Night live quote? It’s just like exactly the same. I did think of that, Stuart Smalley. I’m good enough. I’m strong enough, and gosh darn it people like me. That’s what I say to myself all the time. That Steven’s mantra. I love it. Did you ever see the one where he’s doing it with Michael Jordan? Yes, so Stuart Smalley sitting there. Stuart Smalley says, “I know you have tough days playing basketball.” This is Michael Jordan, you know. Like what the heck? That’s great with his rings and his championship stuff. I think I got this. That’s really funny. I guess he’s never going to invite us on his show after this after talk. No, he’s really good. No, I appreciate it. I think he will. You’re not going to lose any sleep over it? I appreciate it. It was very informative and helpful. Thanks Jill. Let’s go buy some property, and gosh darn it people like you.